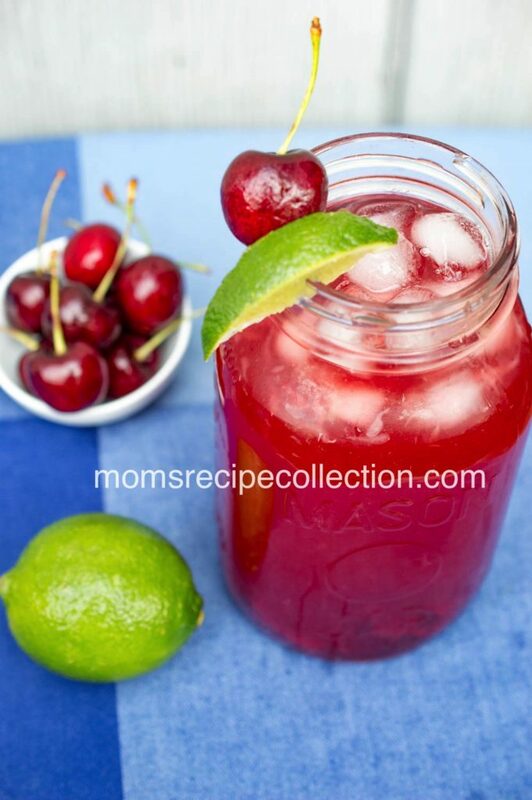 Thirst quenching cherry lime sweet tea. The PERFECT summer beverage! Who else is struggling in this summer heat? OMG, I felt as if I was going to melt the other day. Luckily, I had some of my famous Cherry Lime Sweet Tea on hand, so I was good! 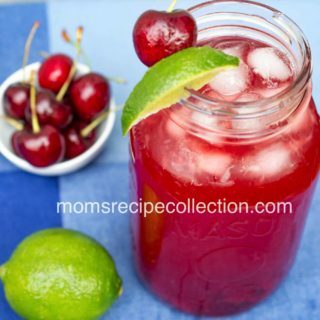 You must try this sweet tea recipe ASAP, and be sue to serve it over lots of ice! Pin this recipe on Pinterest, and subscribe to our mailing list! 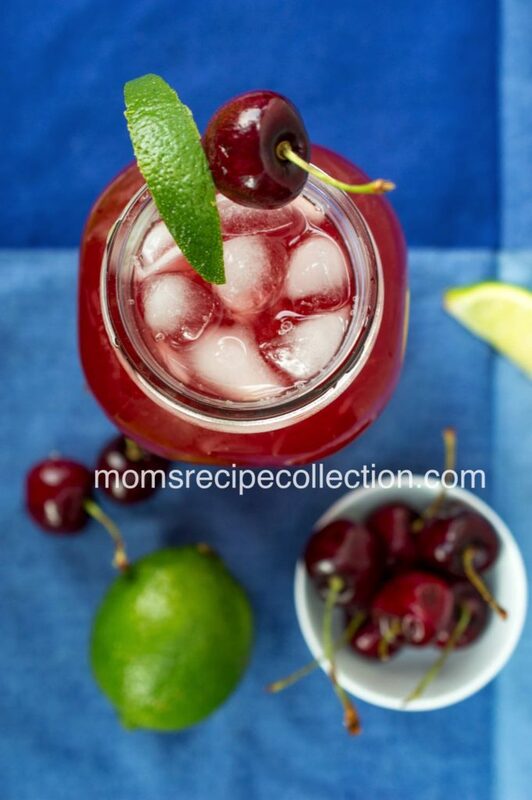 Delicious and refreshing, this Cherry Lime Sweet Tea is the perfect summertime beverage! Turn off and add sugar, stirring until dissolved. Add cherries and tea bags. After 3-5 minutes, remove tea bags. 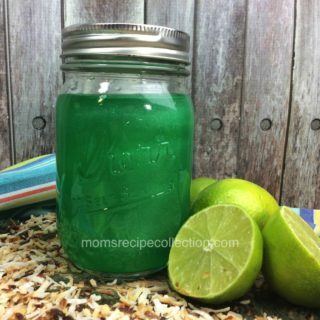 In a pitcher/container, combine tea mixture and lime juice. Add remaining 3 cups of water and add ice. 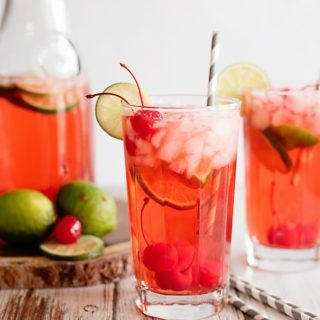 Garnish glasses with a cherry and lime slice. *Tip: to get more juice out of the lime, roll on hard surface then place in microwave for 10-15 seconds.